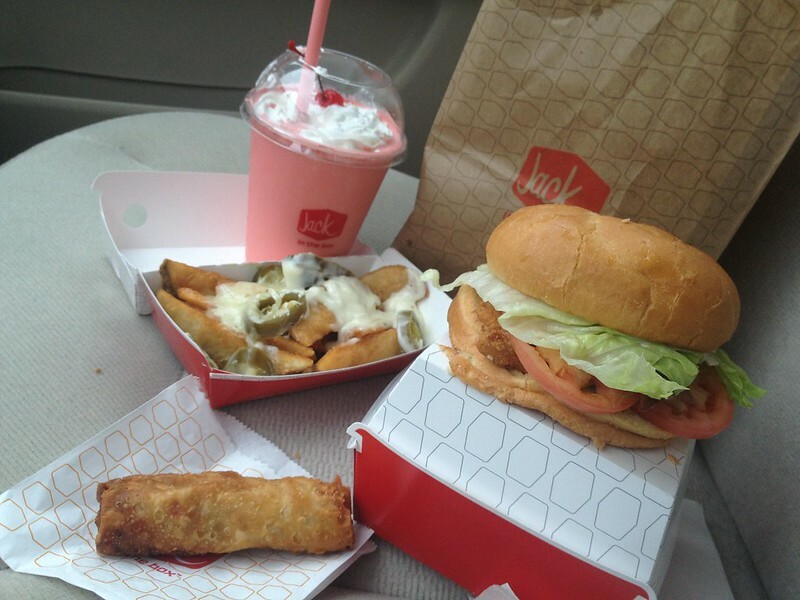 Curiousity got the best of my car, which led me to the drive-thru of Jack In The Box in Pleasant Ridge. Having never been to this restaurant before, I've had friends rave about all the different choices and creative menu options that are served here. Unique food? I was drawn in. I browsed the menu: hamburgers, chicken sandwiches, tacos, egg rolls, five different styles of french fries and a few salads. It looked pretty similar to a Wendy's menu with the exception of a few items which I'd loosely call "cultural food." I ordered a Chicken Monte Cristo sandwich, Mess Fries, one eggroll, and a Red Hots milkshake. I pulled up to the window, and noticed a man shouting at me from the rear of the building. Apparently I missed the first drive thru pay window, which was non-descript unlike the second "pick-up" window. I reversed, paid, and pulled forward again. Then, the woman behind me (who witnessed my embarrassing scenario) did the exact same thing! Perhaps Jack In The Box needs more signage. After a good ten minute wait at the pick-up window, the employee asked, "What did you order?" Then some scrambling happened to put my food together. Finally, my meal arrived. The Verdict: the eggroll might have been the best thing about the whole meal. 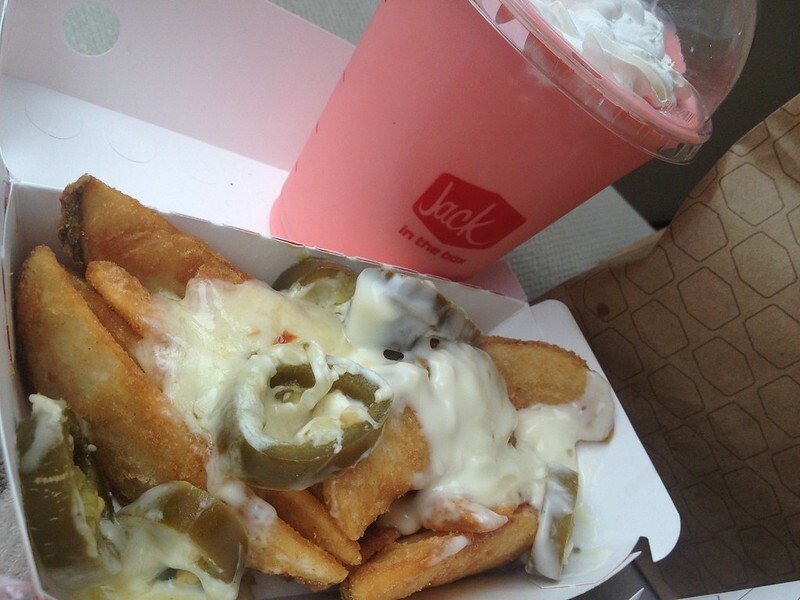 The Mess Fries were topped with soggy, hotter-than-usual jalapenos and queso. I liked that they were steak fries and the seasoning tasted good...the "mess," not so much. The Red Hot milkshake started off tasty with creamy cake batter flavored ice cream mixed with cinnamon. Unlike the Red Hot candies, the milkshake left a burning in my throat rather than the tongue. 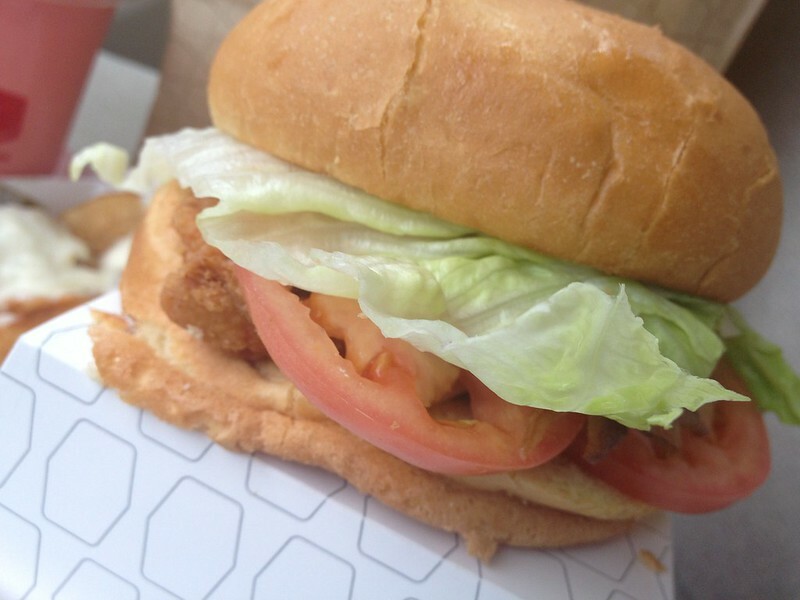 The chicken sandwich was nothing special, comparable to Wendy's. I ate half before throwing it away. 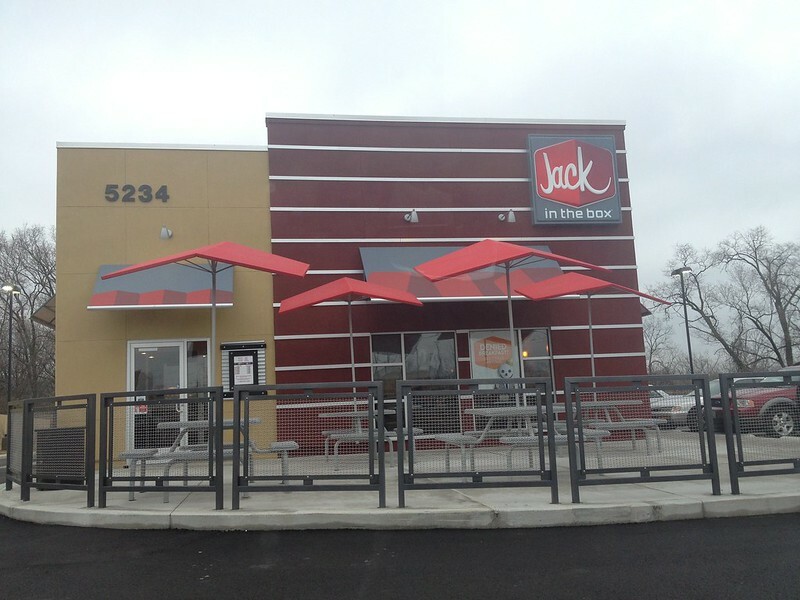 I was surprised at the lackluster service of Jack In The Box after having been open for four months. No worries though. It may have bountiful genres of food, but it's just another chain that left my stomach in knots, like McDonalds, Rally's, or the like.